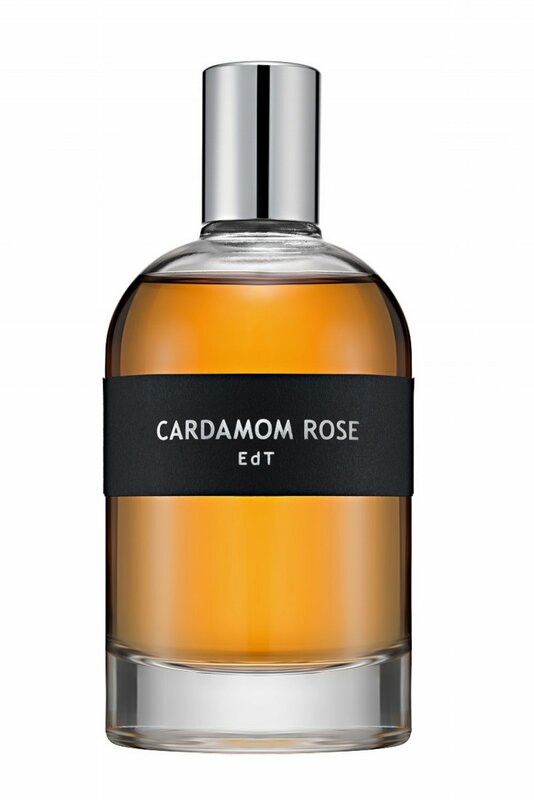 Jodi Battershell of Fragrantica calls our Cardamom Rose, "a beautifully balanced blend and one of the most unique-smelling natural perfumes I've encountered in some time." Sizing Details: We offer five sizes 3mL/5mL (samples), 10mL, 50mL and 100mL. What does the symbol EdP mean? EdP (Eau de Parfum) means the level of fragrance concentration to alcohol content. In our case the EdP concentration is 20% compound (Parfum) to 77% alcohol (undenatured) and 3% Water. What does the symbol EDT mean? EDT (Eau de Toilette) means the level of fragrance concentration to alcohol content. In our case, the EDT concentration is 12-17% compound (Parfum) to 78-83% alcohol (undenatured) and remaining % Water. What are Essential Oils (EO)? Essential oils are the compounds obtained from the leaves, petals, roots, and barks of plants through the process of steam distillation, CO2 or Hexane extraction. Why are Botanical Fragrances and Apothecary more expensive? Botanical products are generally more expensive due to the cost associated with the growth and processing of organic raw materials. For example the number of flower petals it takes to yield just one drop of essential oil. The growth and cultivation of many of these raw materials depend on climate, availability of resources and yields. Why we use "Botanical" instead of "Natural" to describe what we do? Botanical for us means, all the raw ingredients that go into making our products are grown in the earth, non-GMO, organic, wild-harvested, therapeutic, containing no animal by-products and certified natural by the International Perfume Foundation and Natural Perfumers Guild. What does "Natural" mean to us? Natural can sometimes be used as a broad term to describe products crafted using natural ingredients, but can may also include raw materials that contain 'isolates' (referred to as natural because they are obtained by isolating the molecules that compose the fragrant portion of the plant, then undergoing a synthetic chemical reaction to multiply its capture) and animal by-products (ambergris, civet, musk, etc). What is silage? Silage refers to how long a fragrance will last throughout the day. Our botanical perfumes are long lasting with projection close to the body. How are our Botanical fragrances different from other niche and commercial brands? We only used only organic, wild-harvested and therapeutic essential oils, absolutes, tinctures and food grade alcohol, commonly used in winemaking, to create our authentic botanical fragrance and apothecary. Who wears Therapeutate Parfums? They are suited for everyone who enjoys the art of olfaction and fine fragrances. However, our perfumes are specially formulated with the wearer in mind that no longer wears fragrance because of an intolerance to synthetic fragrances.